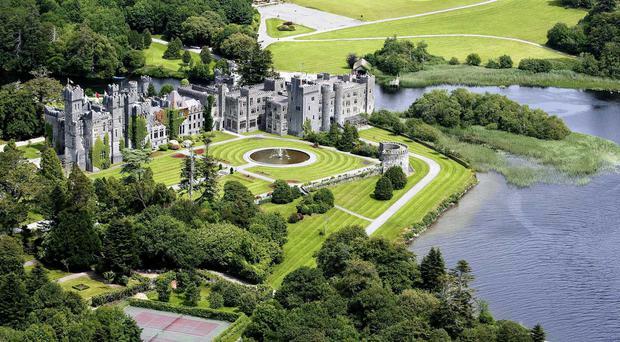 The medieval Ashford Castle, perched along the still waters of the Lough Corrib on the Mayo-Galway border will this weekend welcome some of the world's elite sport stars and A-listers. 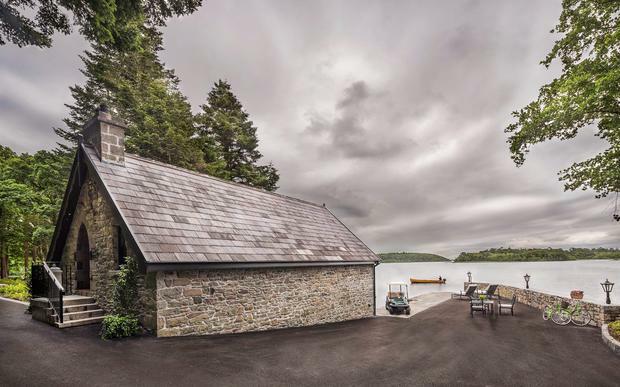 But it wasn't always gourmet breakfasts, luxury spas and celebrity soireés for the property formerly owned by the Guinness family. The 13th century castle has seen many highs and lows in its years and after suffering several setbacks during a particularly rocky recession, the private estate bounced back stronger than ever to become "one of Irish tourism's finest assets". An epic €75m restoration in 2015 brought the magical setting back to its former glory, and this year the castle was awarded one of the most prestigious titles in Irish hospitality when it was named hotel of the year at the annual AA Hospitality Awards. Fine dining: The food at the Castle is a five-star dining experience. “Ashford Castle is one of Irish tourism’s finest assets,” said AA's Director of Consumer Affairs Conor Faughnan, who hailed the five-star as one of the world's finest. Rory McIlroy and fiancée Erica Stoll's wedding is by no means the first swanky celebration the castle will play host to: it has also seen the beginning of several other A-list love stories including Bond actor Pierce Brosnan and wife Keely Shaye's, who were married there in 2001, and Westlife member Shane Filan's and childhood sweetheart Gillian Walsh, who tied the knot in the castle two years later. The former Bond actor and his wife chose the romantic setting of Ashford Castle, Cong, Co Mayo for their 2001 nuptials. The theme was a mixture of ''A Midsummer Night's Dream' and 'The Secret Garden' and the couple were showered with rose petals as they cut the six-tiered wedding cake. Royal guest: The Prince of Wales Cocktail Bar at Ashford Castle is named after the Prince who visited the castle in 1905 for a woodcock shoot. Pictured at the shoot over a century ago were, from left, Lord Brandon, the Prince of Wales (later George V), Lord Ardilaun and Percy La Touche. The castle and the quiet village of Cong have also been the backdrop to many fictional love stories too. Americans fell in love with the Ireland of John Ford's The Quiet Man, which John Wayne and Maureen O'Hara filmed in Cong in 1952. The village now welcomes thousands of tourists every month who come to visit the movie-themed museums and take in the landscape that made such a stunning backdrop for the drama. As for Rory and Erica, they are said to value the peace and privacy of Ashford Castle and it obviously holds a special place in their hears having celebrated New Year's Eve in its serene surroundings for the past two years. Thomas Ryan, a local butcher, told the Irish Examiner the golfer has become a familiar and welcome visitor. “Rory McIlroy comes to the village," said Ryan, "and he would be down in O’Connor’s pub there. Some of the young people might be following him for autographs, but nobody is plaguing him. They know he is here for a break and we are well used to that." The couple are reported to have booked out both the castle's private Hideaway Cottage and the Presidential Suite for a full week, as well as all the rooms and suites within the castle for a number of days.